The Arena boasts two, first class indoor, artificial 7-a-side pitches, available for local clubs and groups - or even just those looking to keep fit and have some fun - seven days a week from 9am to 10pm. To book online, start by clicking the "Create an account" link. Once you have an account, you can view the availability of both pitches, make a booking and keep a track on other bookings you`ve made. In order to keep everyone safe there are some Terms and Conditions of use that everyone who books, or plays on, the pitches needs to be aware of. To book online, start by clicking the "Create an account" link. Once you have an account, you can view the availability of both pitches, make a booking and keep a track on other bookings you've made. You can even set up email reminders so you dont forget to come and play! 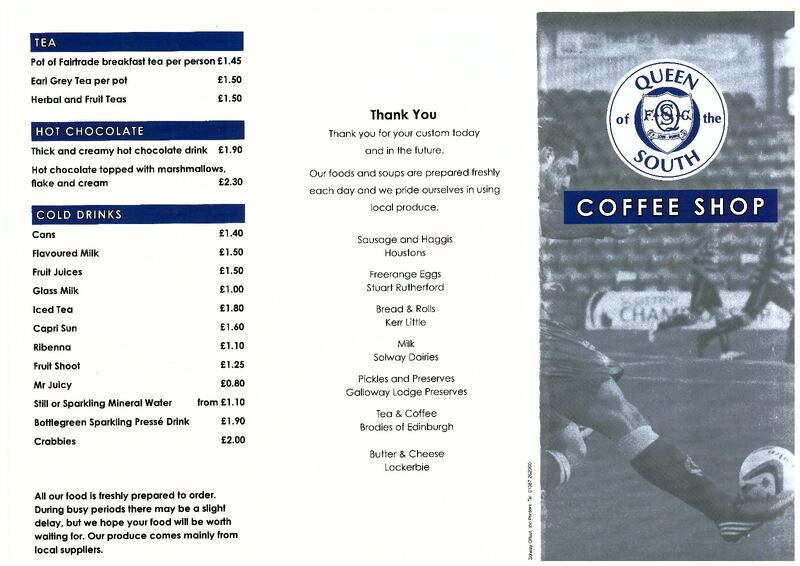 As well as the excellent pitches, the Arena has its own cafe serving delicious food and coffees 7 days a week. All our foods and soups are prepared freshly each day and we pride ourselves in using local produce. 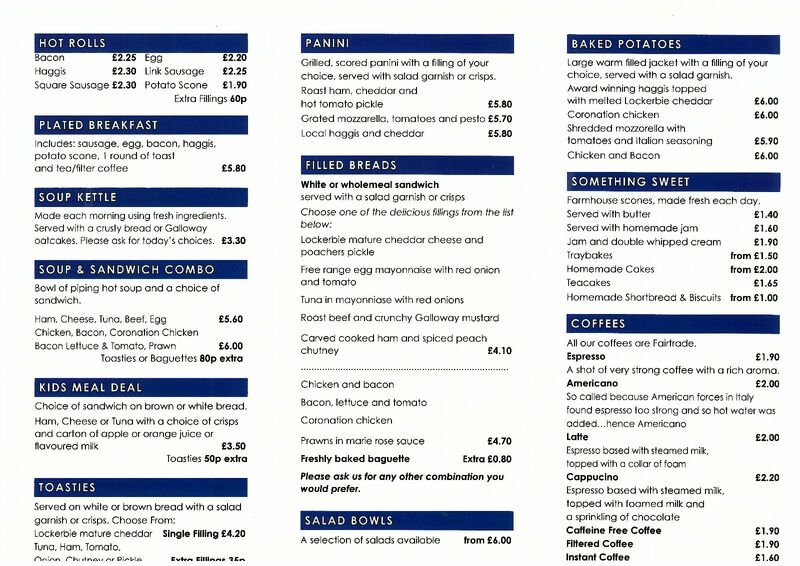 Along with the extensive sit-in menu (shown below) the coffee shop will be offering a take away menu. Let us look after your child’s birthday party needs from start to finish at the Queen of the South Arena. The party will last for 90 minutes, including 60 minutes football followed by Food and presentations. The party kicks off with a full hour football training and mini match with a Queen of the South FC coach inside the new Queen of the South Arena. We handle the football, the food and the entertainment – leaving you to enjoy the special day. Enjoy fresh Coffee and food in the brand new Coffee Shop. We can organise everything from the birthday cake and/or a signed football shirt or ball for the birthday party at an additional fee.